IAI Astra is an Israel Aircraft Industries-manufactured twin-engine business jet. 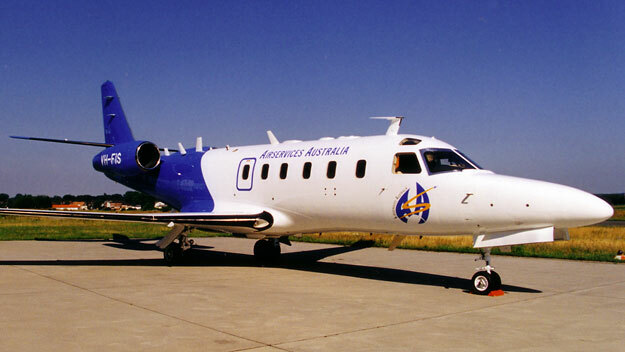 The Astra evolved from the IAI Westwind. The Astra wing design was modified and with a completely new fuselage created the Galaxy. The first Astra production flew on March 20, 1985, FAA certification came on August 29, 1985 and customer deliveries started in 1986. The original 1125 Astra was replaced in by the Astra SP, announced in 1989 of which 37 were built. The third variant, Astra SPX, flew in August 1994. This entry was posted in News and tagged IAI Astra, IAI Astra Photos, IAI Astra Specifications. Bookmark the permalink.